Even though cycling is an aerobic exercise – and you may even break a sweat in the cold months – you should err on the side of warmth for your winter commutes. This means many layers of clothing and extra consideration for extremities. A sure-fire recipe for a warm ride is a pair of winter boots, double-layered clothing, mittens, a winter coat, and a balaclava. There is a seemingly endless list of supplies to buy for winter biking, but some are more essential than others. 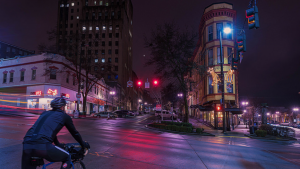 Most important is to equip your bike with extra lights, as there is typically less daylight in the winter. In addition to lights on the front and back of your bike, you could buy a clip-on light for your helmet, or even buy extra reflectors for your wheels or pedals. 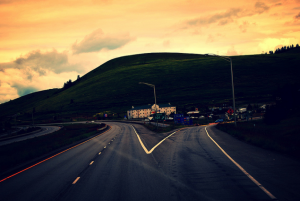 Every cyclist makes split-second decisions on the road, but decisions that are safe in the summer may be unwise in the colder months. 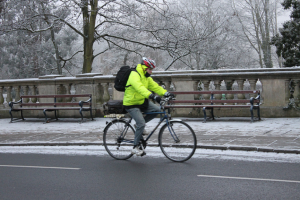 You must adjust your cycling heuristics to account for black ice and slippery roads. 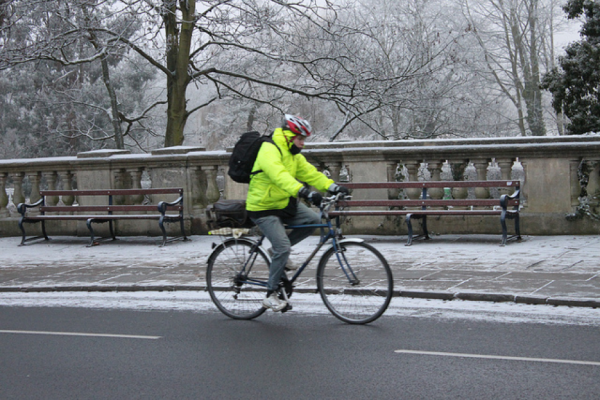 Cycle more slowly than usual and brake well in advance of traffic lights in case you hit an icy patch. As much as it’s fun to slide down a hill on skis, sliding through a busy intersection is an adventure you should best avoid. 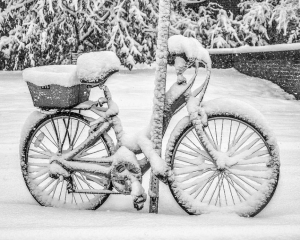 In addition to buying gear for the winter, it is a good idea to take extra care of your bike. Putting in a few extra minutes after your ride may save you much more time and money down the road. 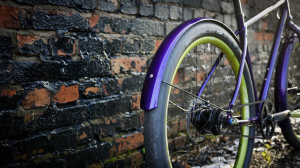 To prevent any deterioration, salt stains should be washed off using a sponge with warm water – using a hose may blast the grease off your bike’s chain and eventually rust its bearings.